In Allston, do Harvard and Mass. see eye-to-eye? The Massachusetts Department of Transportation and Harvard plan a major redevelopment project in Allston but when and in what form it will be completed are uncertain. The desolate tract of former railyards in Allston, hemmed in by a tangle of highway ramps, is sometimes promoted as the next Kendall Square: a new neighborhood springing out of the dirt that eventually will be packed with high-tech jobs, fancy restaurants, and other urban amenities. But to many who live nearby, those ambitious dreams are off to a rough start. Some Allston residents and transit advocates say the two major players that control the site’s future, Harvard University and the state Department of Transportation, are failing to take adequate steps to ensure this barren stretch of Boston lives up to its potential. The biggest misstep? 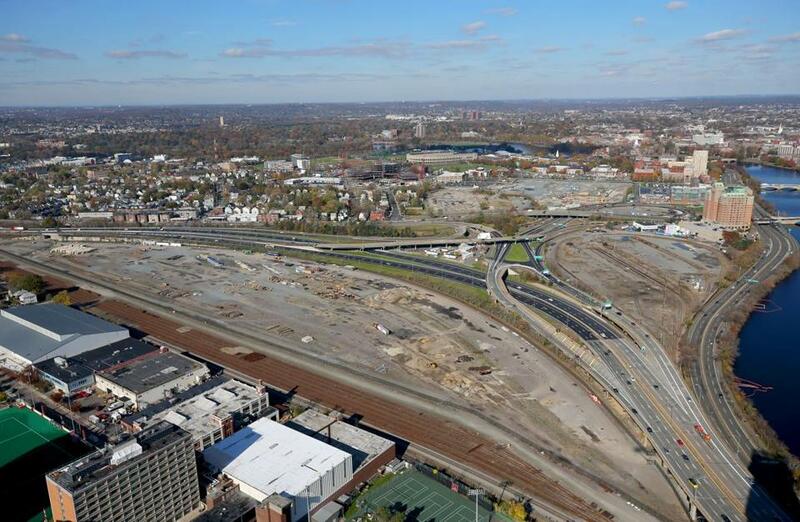 Transportation officials blindsided many people in late November when they announced that a long-anticipated transit hub for the area might not be done for more than two decades, instead of in 2020, the original target date. Meanwhile, the train and bus station that’s part of the project won’t move forward until Harvard finalizes its own plans for the area. Then, within a week of the DOT announcement, Harvard filed plans for one corner of the property — its first commercial development in Allston, but too soon for many neighbors who want a more complete vision for the 130-plus acres that Harvard wants to develop there. “Harvard is leaping ahead . . . and not doing a whole lot with what the community wants for planning,” said Brent Whelan, who lives on North Harvard Street. Harvard’s build-out in Allston will be one of those once-in-a-generation projects that can change an entire section of the city — in this case, the western approach traversed by thousands of commuters every day. Harvard officials envision a mini-city of sorts, stretching across a dozen-plus blocks, with employers eager to be near the school’s brainpower, apartments, shops, and restaurants. Driving the fate of the area is a roughly $1 billion project to straighten the Massachusetts Turnpike, making it much easier to develop the land near it. The undertaking, one of the state’s largest transportation projects since the Big Dig, is supposed to include a new train-and-bus hub, known as West Station, and could include a bus connection between Cambridge and the Longwood Medical Area, serving Harvard and Boston University along the way. The Massachusetts Turnpike at Allston and the former train yards. But the announcement that the station won’t be completed until the end of work to realign the turnpike has unnerved many activists, who had expected it to be in use early on in the build-out. They worry the Harvard properties will turn out like the Seaport District, frequently clogged with traffic and with few mass transit options. Part of the problem is the delicate dance taking place between Harvard and the DOT. Transportation officials say they shouldn’t build a station without knowing more about Harvard’s plans, to better understand the potential demand. Harvard, meanwhile, had been waiting for more details about the turnpike project, some of which were included in documents filed recently by the state. But the DOT said it needs to move forward on the turnpike more quickly than expected, because of deterioration in the viaduct that carries the highway through that area. In a statement, Harvard said it is following “a number of carefully sequenced planning steps.” The school also noted it has to work with transportation officials to ensure the turnpike reconstruction is compatible with its development plans. For now, Harvard is advancing one discrete component of its overall plan: a 14-acre section along Western Avenue, where university officials envision a 900,000-square-foot, four-building complex, to be dubbed the Enterprise Research Campus. School officials say they can move forward with this piece regardless of what state officials do with the turnpike. The university will solicit developers to build the complex. Harvard is also on schedule to open a long-planned science and engineering building nearby on Western Avenue in 2020 and would like to have the enterprise campus be open soon after. Meanwhile, state transportation officials are continuing to take fire for the decision to put off building West Station. At a meeting of the state transportation board this month, at least two board members questioned the decision. Monica Tibbits-Nutt, for example, expressed skepticism about DOT estimates that only 250 riders a day would board at the station, even after seven million square feet of buildings go up on the old railyards. And some new transit service is probably needed at the outset, she said, because highway construction will inevitably cause traffic jams. “I just cannot imagine any highway in the Commonwealth not needing some sort of rail element to mitigate the traffic,” she said. 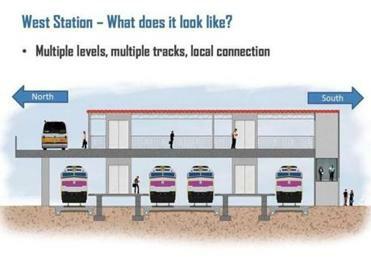 Another board member, Braintree Mayor Joseph Sullivan, said there are “huge benefits associated with prioritizing West Station, putting that at the forefront.” Making it a bigger priority, he said, could help entice private partners to help fund it. Transportation Secretary Stephanie Pollack pointed to the pressing need to address the crumbling viaduct, forcing the state to move before Harvard’s plans are fully developed. She also said there’s a shortage of layover space to idle trains during off-peak hours and expects to use the West Station land as a parking area for some of them. Pollack pointed out that the state does not have the funding locked down for the nearly $100 million station. Harvard has committed to paying one-third of the cost. But Boston University, once expected to contribute when the price was much lower, is now unsure. A spokesman for Pollack also noted that three bus routes serve the neighborhood, and there’s a new commuter rail station at Boston Landing, about a mile from the West Station site. Mayor Martin J. Walsh made building out the Allston railyards a prominent goal in his newly released citywide master plan, Imagine Boston 2030. A spokeswoman said the administration plans to work with the DOT to see if the West Station project can be accelerated. This new corner of the city has been a long time in the making. Harvard acquired the first chunk of the land previously used by freight train operator CSX from the Massachusetts Turnpike Authority in 2000. But it could not acquire the rights to all of the land until the company relocated its railroad operations and cleaned up the property. Harvard largely completed that process during the past two years. The city has only one other vast swath of land — Suffolk Downs in East Boston — with as much development potential. 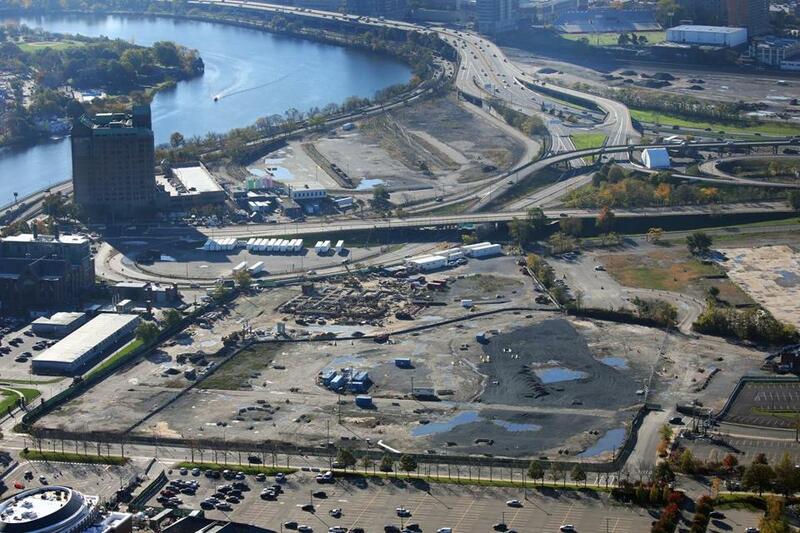 For many people, West Station is the linchpin for unlocking this potential. That’s one reason Richard Dimino, chief executive of the business group A Better City, which advocates on transportation issues, wants to see some sort of transit hub open as soon as possible there. Adam Vaccaro of the Globe staff contributed to this report. Jon Chesto can be reached at jon.chesto@globe.com.